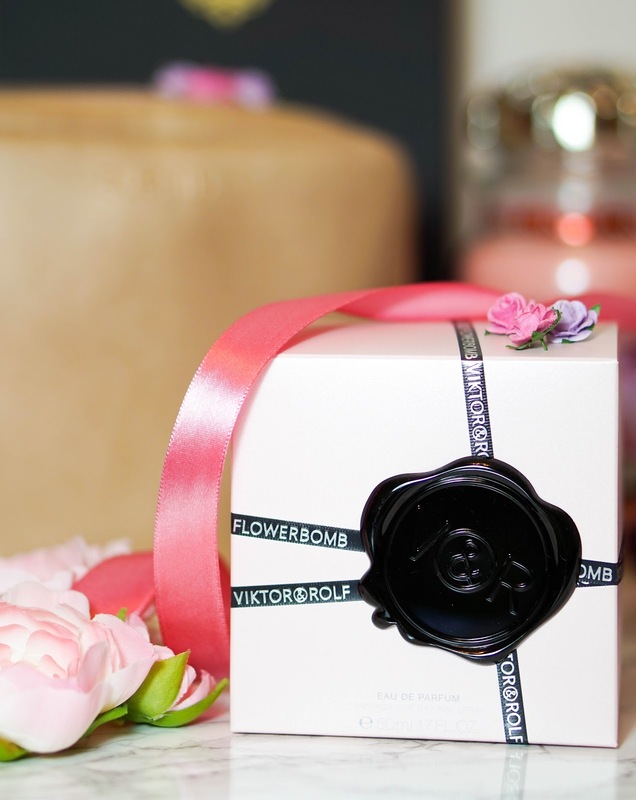 First up I've got the original Viktor & Rolf Flowerbomb* fragrance, which is the perfect Spring scent and would make a wonderful gift this time of the year. As you may already know I fell in love with the Flowerbomb range a couple of weeks ago at an event with Debenhams and ever since I have been using the fragrances... switching up between the newly released Flowerbomb Bloom and this original scent. I love the bottle which has been designed in the shape of a diamond grenade, to represent the fragrance as explosive, sophisticated and glamorous. Of course it's inside that counts and I absolutely adore this sweet floral scent. It is light and fresh, with hints of sweetness and spiciness to it at the same time. Described as an oriental perfume, the top floral notes are sweet and pure jasmine, rose, freesia and orchid. It lasts really well throughout the day, as the scent lingers on the skin but not in an overpowering way. Definitely a gift worth keeping in mind to spruce up your mum's fragrance routine for spring. You probably already know since I rave about these Essie Gel Couture polishes all over my social media channels, so it may come as no surprise that I've decided to feature them in this gift guide. The shades I have opted for (from left to right: Sew Me and Stitch by Stitch) are super girly and pretty. Not to mention that they are perfect spring pastel shades, which your mum will surely love. 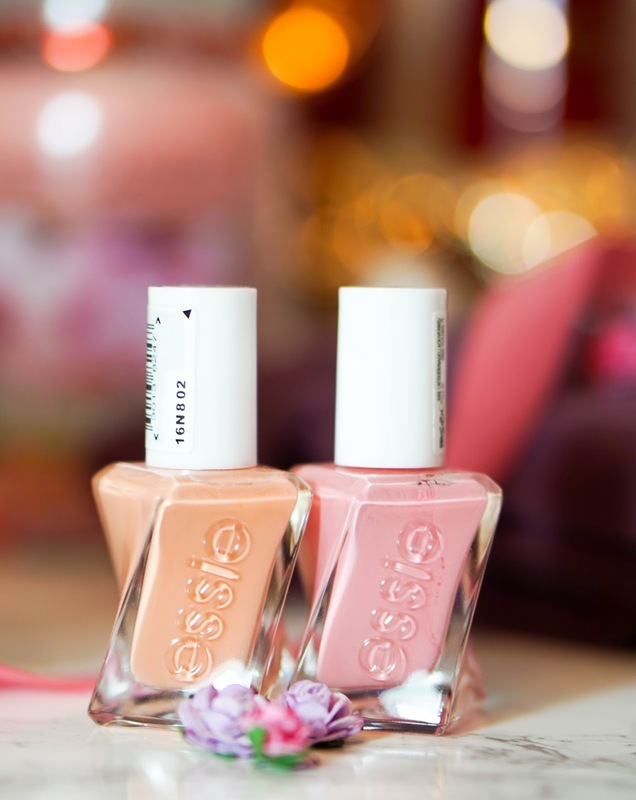 Of course for me personally it's the amazing formula that make these nail polishes stand out. You can easily get a week or more wear time, with a super glossy finish too (please be aware to use the recommended Gel Couture top coat, as that's the real winner from the range). I also really like the design of the bottle and the style of the brush, which is great for using on your nails with ease. 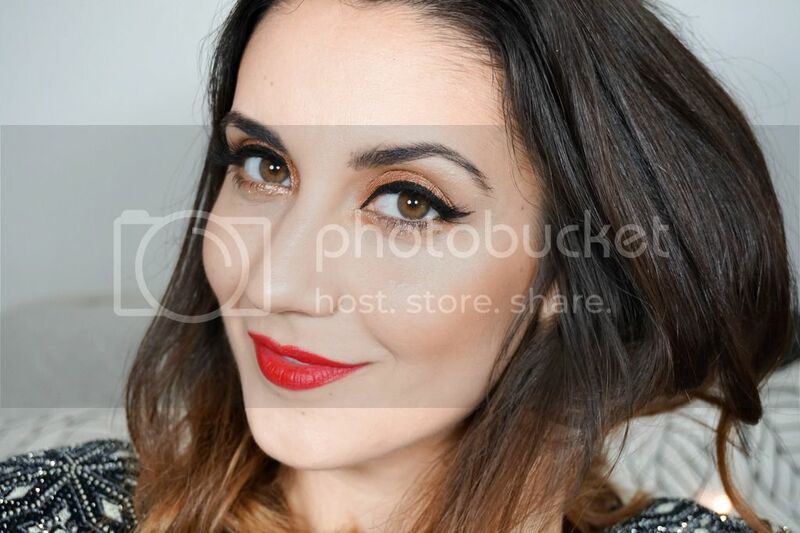 Definitely worth checking out to see if you can find a shade your mum would love. 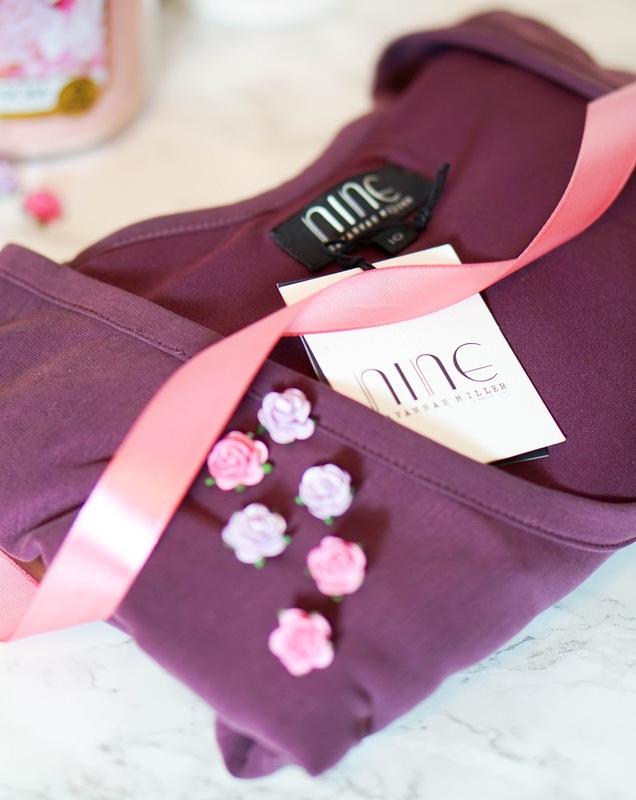 I was only just raving about the athleisure wear from Nine by Savannah Miller in my last post and now here I am again talking about the nightwear collection from the brand, in particular this stunning pyjamas set I picked up from Debenhams recently. Over the years I've realised that since I love wearing my pjs so much, it's definitely worth investing in good quality pieces since they last so well through numerous washes. So of course as soon as I saw this pair and felt the super silky material, I knew I had to treat myself despite the price tag. So the top and bottoms are priced separated at £22 each and they come in two various colours, red and navy. I initially picked up a navy set and then realised that I should really step out of my comfort zone and opted for this dark burgundy red instead. I can confirm that these are super comfy and feel silky soft, making them perfect for lounging around. I've also washed them a couple of times now with the material remaining soft and staying in shape. I'm sure these pjs would be such a lovely treat for any mother out there. 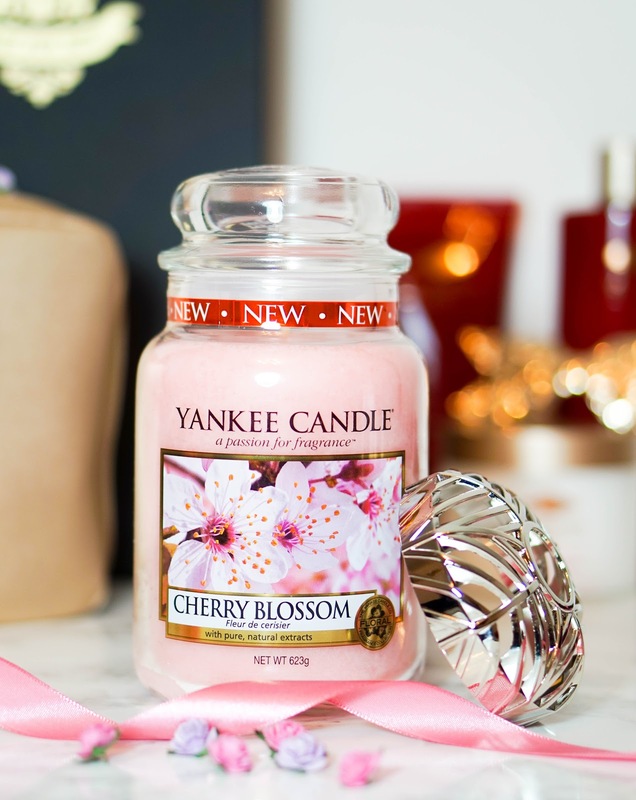 I absolutely adore Yankee Candles and as soon as I saw the new release of this Cherry Blossom edition, I knew I would have to get my hands on it and share it in this gift guide. 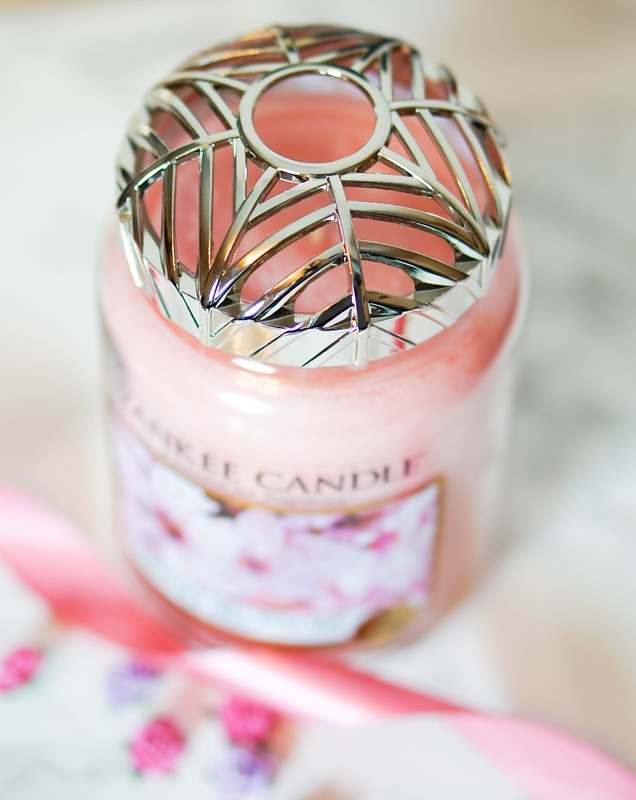 This pretty pink candle with the most beautiful floral fragrance, is perfect for welcoming spring. It really does fill the room with a fresh and blossoming scent.. even my partner commented on the fragrance, which is quite strange for him to notice. At the time when I bought this, Yankee Candle were offering a free Decorative Illuma-Lid Jar Topper. This adds a really nice touch if you are gifting it to your mum and it does actually make a difference to how your candle burns. It's supposed to help jar candles burn steadier and allow for a better fragrance distribution, which is definitely true. At the moment the brand are beginning to release some beautiful new scents for spring and upcoming summer, so I am sitting here creating a huge wish list. Next up I have a brand that I have spotted in my local Sainsburys time and time again, but have never actually tried before. It's of course the affordable yet luxurious Mandara Spa with a couple of bath and body products from their newly Oriental Retreat* collection. The whole range is softly fragrance with cedarwood and sweet orange, which is a super relaxing scent. This particular collection features six different products to help you bring that spa experience at home and I have been trying out three of these products. I was sent the Body Cream £7, Shower Gel £4 and Bath Milk £7, which are all amazing and really do feel luxurious on the skin. Not to mention that I really like the stunning packaging. The body cream feel nourishing as it contains the likes of Cocoa Butter, Macadamia Nut Oil, Orchid Extract, Sweet Orange and Cedarwood Oil. The shower gel lathers well yet it still feels hydrating since it contains soothing aloe vera. Lastly the bath milk and my favourite from the trio, feels super relaxing and comforting, since it contains conditioning starflower oil and sweet almond oil. For the budget price and fantastic quality, it's definitely a range worth checking out for your mum. 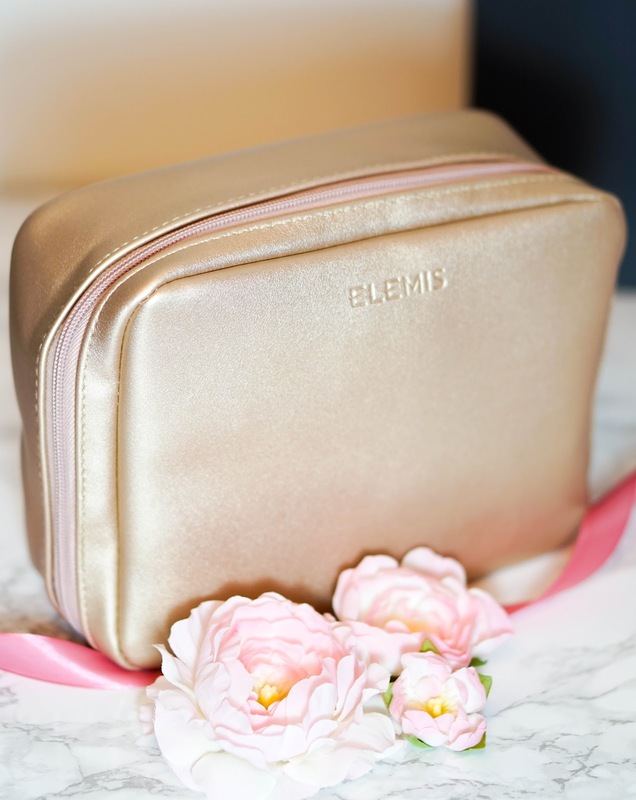 Next up I have a fabulous Elemis skincare gift set that was initially launched on QVC and unfortunately it seems to be sold out at the moment, but there's tons of other gift sets available to choose from. 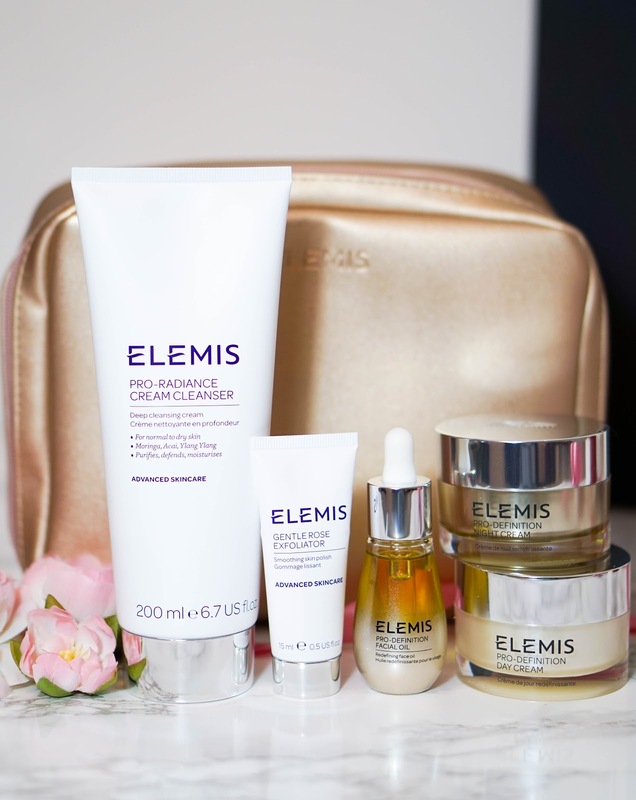 The Elemis 5 Piece Pro-Definition Contouring Collection* contains five different products including a new arrival, the Pro-Definition Facial Oil that is exclusive to QVC. I love the rose gold cosmetics bag that the gift set comes packaged in... it's really good quality, spacious and beautiful too. With this set Elemis focus on targeting 'contouring’ through skincare products, which basically helps to firm, lift and plump the skin, for a more sculpted and defined complexion. I have to say I am really enjoying every single product in this set and have been loving Elemis as a brand. The Pro-Radiance Cream Cleanser is great for deep cleansing, removing all traces of makeup and adding radiance back into my skin. I also love using the facial mitt included as it really helps to gently exfoliate dead skin cells. To exfoliate my skin further I have also enjoyed using the deluxe sample of the Gentle Rose Exfoliator, which contains micro-spherical Jojoba beads blended with hydrating Rose Absolute. It really helps to exfoliate the surface without feeling too aggressive on the skin. My favourite from the set is of course the newly released Pro-Definition Facial Oil, which feels silky soft on my skin. It also feels lightweight yet nourishing at the same time, with a light aromatic fragrance of essential oils. It's aimed at smoothing out the appearance of fine lines through an 'intelligent plant stem cell technology'. I apply this every night and I love how plump and soft my skin feels in the morning. Lastly there's two generous 30ml sizes of the Pro-Definition Day and Night Creams. Both creams are targeted towards anti-ageing, lifting and firming. They claim to stimulate the skin's biological energy cycle to deliver the ultimate lift effect. I'm not sure about anti-ageing, as I don't find it a concern just yet... but I can surely notice that my skin's texture has improved. The gift set is fantastic value for money as it's priced at £69 even though it has a value of £209. 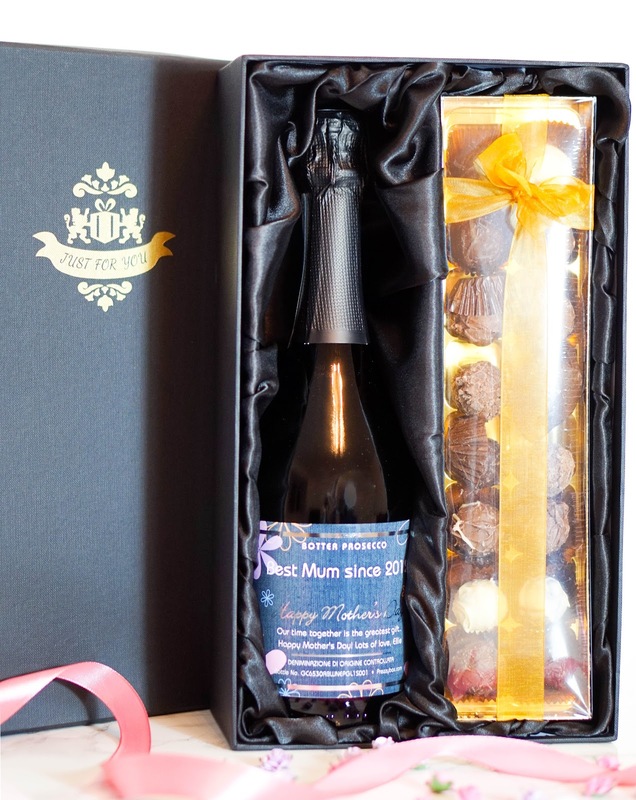 Lastly I've got a special treat that I'm sure any mother out there will thoroughly enjoy (I certainly will do) and it's of course a Personalised Mother's Day Prosecco & Chocolates* gift set, that I received through PrezzyBox. If you haven't heard of the company before they specialise on the perfect gifts for all the family and for any occasion. 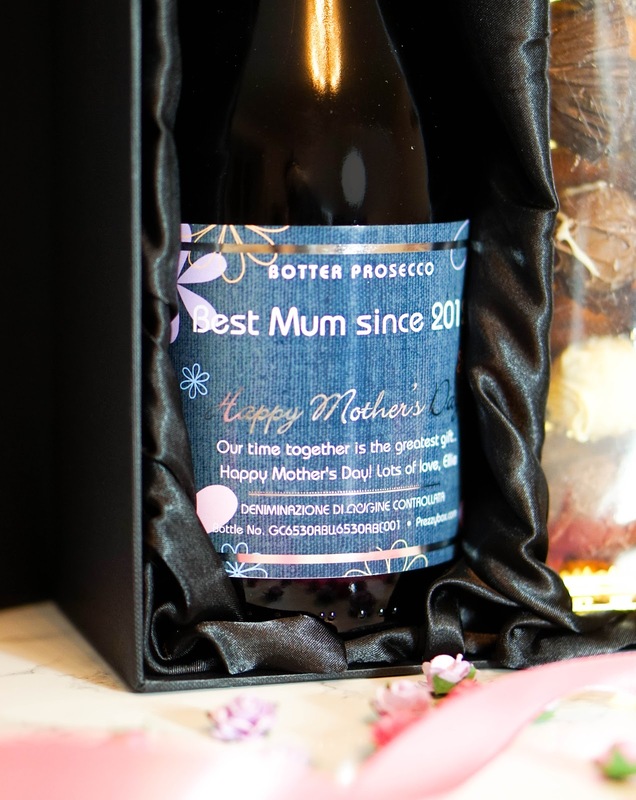 From unique gift ideas to personalised options like the one I have here, you'll be sure to find something thoughtful for your mum. I personalised this gift set from myself to myself (because I'm sad like that and Ellie isn't old enough to buy me alcohol just yet LOL). 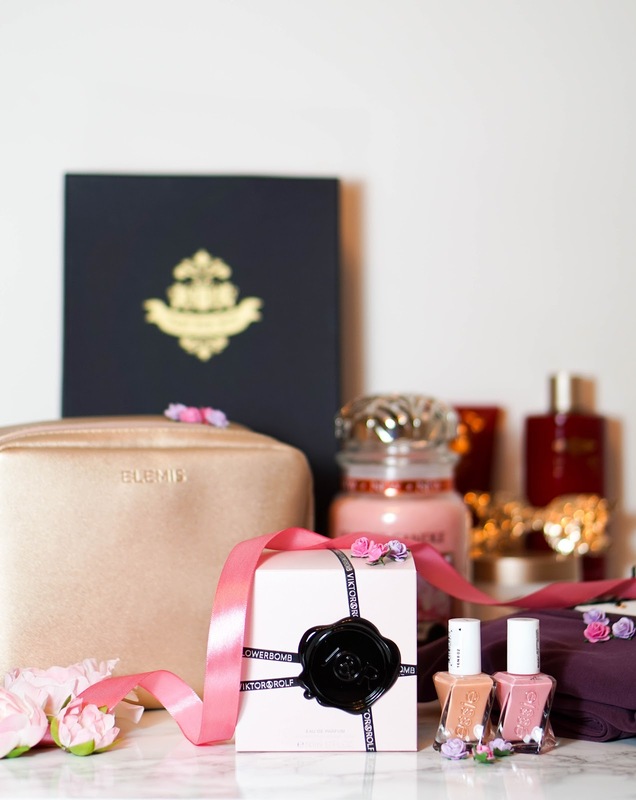 A bottle of bubbles is definitely my favourite kind of treat and along with chocolates it makes the perfect gift, plus I really like the satin box it all came in. At the end of the day presentation really matters and it really is the little things that count. I've been told that the fine Italian Prosecco has a crisp and fresh taste with hints of peach and apple, so I will look forward to enjoying that very soon. Along with the box of 16 scrumptious truffles, don't worry I will share... maybe. With that I will end my post here and I really do hope it's given you some tips or ideas on what you could treat your mum on this Mother's Day. I'd love to hear your thoughts on any of the brands or products I have here.. do any of them spark your interest? Let me know in the comments below.